Several past Informant America blog posts have suggested the case that sent Richard J. Wershe, Jr. to prison for life was questionable at best. He was arrested and charged with possession with intent to deliver over 650 grams of cocaine. The police case had gaping holes in it. But the prosecution’s case was helped by Wershe’s own defense team, two lawyers loyal to Detroit Mayor Coleman Young. Those lawyers, both deceased, are now believed to have been intent on ensuring Wershe went to prison for a long, long time as part of a vendetta against Wershe for working as a confidential informant against drug dealers and police corruption. It is enlightening—and disturbing—to take a hard look at the evidence—or lack of it—behind Rick Wershe’s life prison term. Before we continue to explore the dubious elements of the case that has put Richard J. Wershe, Jr. in prison for over 28 years, we should note a couple of news items from the past week. He got more bad news, this time from the U.S. District Court in Grand Rapids. 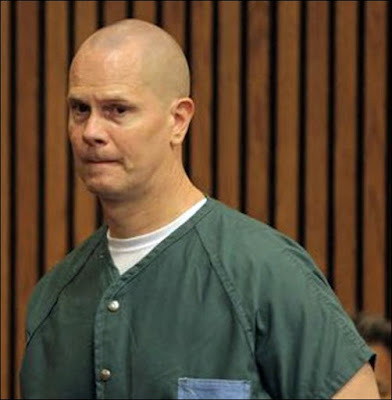 Wershe has a civil rights lawsuit in that court claiming the Michigan Parole Board violated his constitutional rights in the handling of his petitions for parole. U.S. District Court judge Gordon Quist initially tossed the case but the 6th Circuit Court of Appeals sent it back to him for a more thorough evaluation. Last week, after a review of the case law by a federal magistrate, Judge Quist again denied the claims in the Wershe lawsuit. The case may go back to the Court of Appeals for additional appeal issues. Also last week, the Detroit Police Department finally got out from under federal oversight after 13 years—13 years—of monitoring for chronic “unconstitutional” policing. Among the issues: abuse of potential witnesses. This is worth noting here because at least two witnesses from Rick Wershe’s case claim they were intimidated by Detroit Police narcs, and in one case, one of the witnesses says he was roughed up by police officers to emphasize the importance of testifying the way the police wanted him to in the Wershe case. Rick Wershe and a pal are stopped by the police on a pretext traffic stop near his home. Wershe had a shopping bag of cash but no drugs. His sister grabs the bag before the police can and she runs into her house with the cash. A curious crowd spills into the street along with dozens of cops. Rick Wershe walks away empty-handed. A teenage neighbor claims she saw Wershe walking between houses toward her house carrying a large box. The neighbor claims Wershe asked her to put the box behind her house. She said no. A second neighbor, who lives next door to the teen witness said he saw Wershe at the same time as the teen, but he testified Wershe wasn’t carrying a box. After Wershe leaves with the police the neighbors search the back yard for a box and they find one. The box is taken in to the teen girl’s house. A neighbor/witness said the box was taped shut. About two hours later, acting on a mysterious anonymous phone tip, the police arrive and take the box. The officer who took possession of the box says it was partially open when he took control of the box. What does Rick Wershe say happened that night? I asked him. To begin with, Wershe has never denied he was moving large quantities of cocaine in his effort to become a “weight man” or wholesaler in the drug trade. “The box of dope had arrived that day, a few hours before (the pretext traffic stop that started the chain of events)”, Wershe said. Wershe believes his friend and associate Anthony McGee stashed it in his father’s house, which was in the same neighborhood as the Wershe family residence. Wershe wonders if the uncle of a neighbor the next block over may have seen the box being stashed in a dumpster and decided to check it out for himself. The neighbor’s uncle’s name was Moosey Norris, a low-level crack dealer, no deceased. Wershe describes him as a “street type” who was half dope dealer, half addict. After the traffic stop turned to chaos Wershe slipped away. 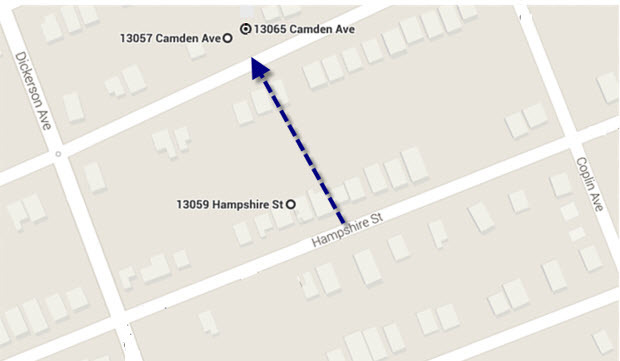 He says he walked between the house from Hampshire Street to Camden St., the next block over. Wershe agrees with witnesses that he walked between the houses from Hampshire, his street, to Camden, which is the next block after the chaotic police traffic stop. One witness claimed Wershhe had a box in his hands. Another witness claimed he did not. Wershe says he was empty handed and never touched the box containing 8 kilos of cocaine. As noted previously, there were conflicting eyewitness accounts of whether Wershe ever had the box himself. One witness says yes, another says no. Whatever the truth, the box wound up under a neighbor’s porch on Camden, the next block over from Hampshire St. where Wershe lived and where the police traffic stop occurred. About two hours later, acting on an “anonymous phone call” to a police precinct station, officers showed up to take possession of the box. Officer Greg Woods, the narc who took control of the box from neighbors later testified the box had been opened when it was handed to him. One of the other narcs involved in the episode that night was Officer Gerard “Mick” Biernacki, a member of the self-proclaimed No Crack Crew and a cop with a reputation among other cops for lying—committing the felony of perjury—on the witness stand. His nickname was Pinocchio after the children’s fable puppet whose nose would grow every time he told a lie. There was more illegal action that night, including the beating Wershe received at the hands of the police while he was handcuffed and in custody. More on that next week.